Our Corporate Travel Aircraft. Quiet, comfortable, and built for speed. Fly direct to New Caledonia, Fiji and Norfolk Island. 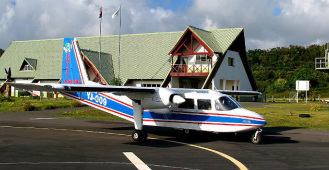 Capable to fly to Vila, Santo, Tanna, Longana, Norsup, Lonorore with VIP seating and air conditioning. Our main Tour aircraft, she can be configured for freight and passenger carrying. 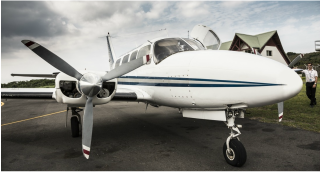 Twin Engine gives added safety for flights over water, and large square doors make for easy loading of passengers and cargo. Capable to fly into ANY airstrip in Vanuatu. A stretch version of Oscar Nine, Big Bird can be uniquely configured for freight and passengers. Three engines gives added safety for flights over water and amazing cargo carrying capacity. Large square doors make for easy loading of passengers and cargo, and she has club class seating with loads of leg room. 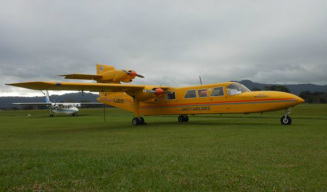 Capable of flying from Vila, Santo, Tanna, Longana, Norsup and internationally. If you have more questions about our aircraft please contact us.